I chose a ‘safe’ shade but to be honest YSL didn’t have many crazy colours. No bright oranges, only one plum. Nothing like MAC. So I opted for a bright Barbie pink in shade 31 from the Rouge Volupté Shine range. 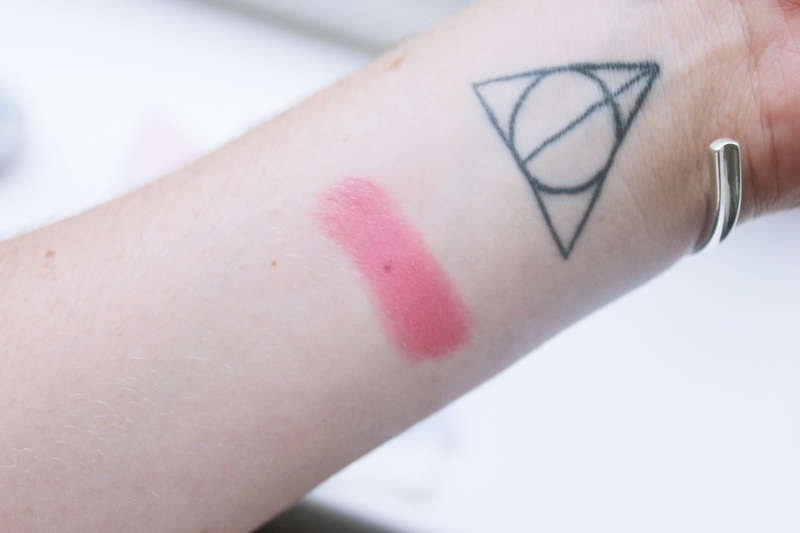 The lipstick looks very bright and almost neon when you pop it out of the container but I made sure to swatch all the colours I was interested in before purchasing. Turns out that because the shade is a Shine and not a Matte it isn’t as bright as it first appeared. I personally have a great distaste for bright pinks like Candy Yum Yum as I feel they look really tacky (the brightest I can handle is a pink Viva Glam – Cyrus or Minaj). So I was glad to see that this was a more subdued and wearable colour. One thing I noticed about the lipstick is its smell. MAC I feel smells quite vanilla-ry as do Kat Von D’s lipsticks. Topshop’s don’t smell like anything and Chanel’s are practically scentless. YSL lipstick smells like watermelon and it is noticeable. I picked my little pug up and she practically all but snogged me. 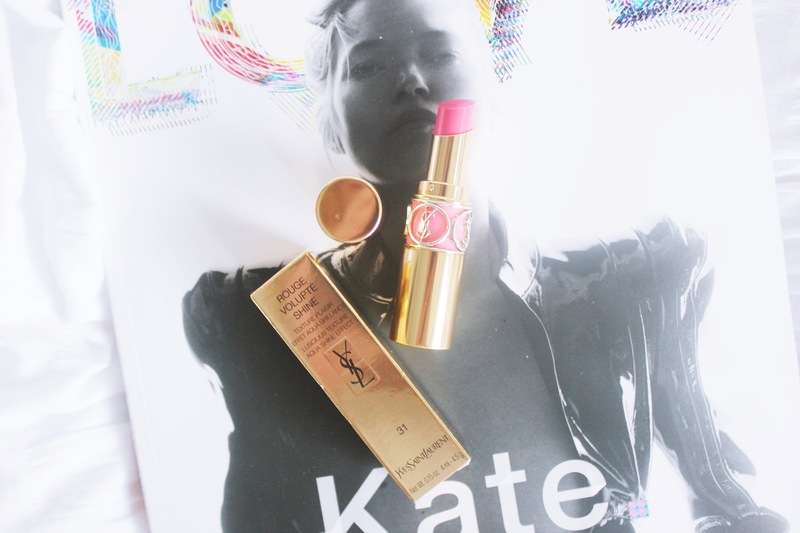 If you’re after a lipstick that gives nice colour and smells divine then I’ll patiently direct you to YSL’s counter. I personally prefer matte finishes for lipsticks as I feel like it takes a lot more to make them budge. I’ll be adding Lipcote on top of this and keeping it on my person to refresh if I’m going out for lunch. Unfortunately, the packaging for the matte finish lipsticks wasn’t as nice. I know that seems ridiculous. Buying a lipstick you prefer less because the packaging was cuter but I honestly feel like I need more range of lipsticks in their finish. Not just the brand. So I’m branching out… moving from the matte. Kylie Jenner would kill me. What a beautiful pink shade. This is definitely a lipstick I need in my collection! I love YSL lipsticks, I had their sheer range one in a really nice purple. If you're looking to broaden your lipstick horizons, definitely try Chanel, they have such nice colours and their formulas are great too and don't forget the sophisticated packaging as well haha! Such a lovely lipstick! 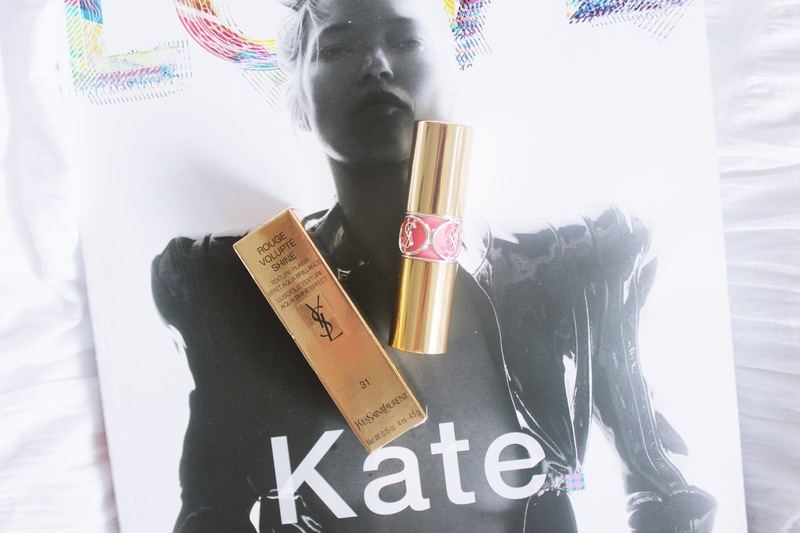 Also love the packaging of YSL lipsticks! i only just started getting into mac lipsticks but i'm quickly becoming obsessed, can't beat the packaging of the ysl ones though! YSL is such a lovely beauty brand, I adore the mascaras and full metal eye shadows but am yet to try any lip products, I love the colour of this and the finish sounds ideal!